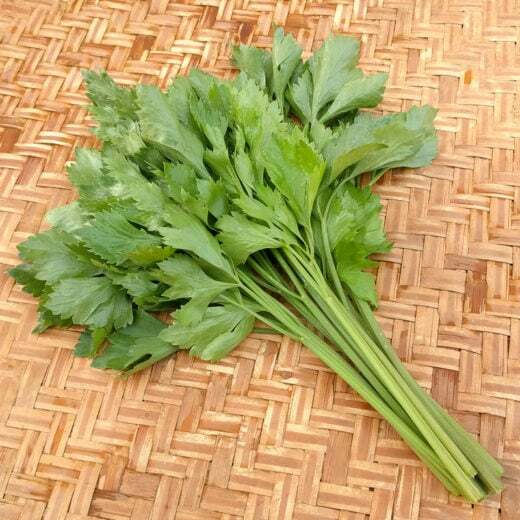 An Asian type that is similar to Chinese celery, but from Thailand. Chai Thai celery has long stems with strongly flavored large, jagged leaves that have a nice golden- green color. 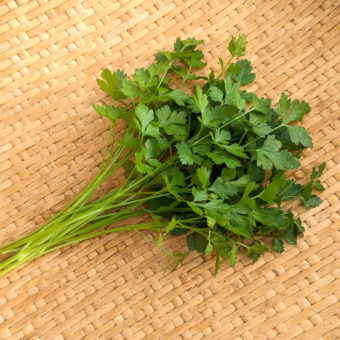 Asian celery is often used as a flavoring herb in stews, soups and stir fry dishes. The thin stems are rather different than the thick-stemmed celery most Americans are used to. 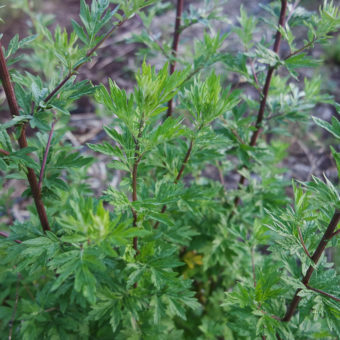 The flavorful leaves are the primary parts of the plant used – a little like celery flavored parsley. In Thailand, celery is one of the more common herbs used in cooking. 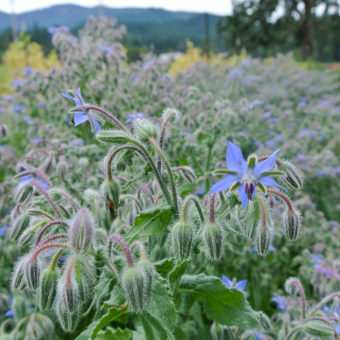 We have found that Chai Thai grows well when planted in summer for fall harvest and thrives in cool weather. Early spring sowings are likely to bolt, we recommend succession sowing. We were sent this variety from Thailand by Sarah’s dad, who lived there for almost 20 years. Surface sow in pots in early spring. Transplant to 8” centers in fertile soil when plants are 3” tall. Prefers cool growing conditions. Keep well watered and cultivated. Harvest as needed. Germination can be slow and erratic. 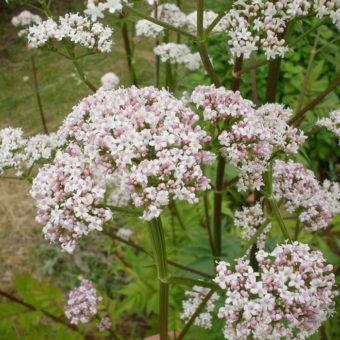 Collect seeds from 15+ plants for replanting or culinary use in second year. Cut seed stalks when seeds are dry, thresh by hand, dancing, or hitting seed stalk against sides of bucket. Winnow to clean. Isolate from other species (stalk or leaf celery and celeriac) by at least 1/4 mile.